Being invited to lots of weddings should be something to smile about — after all, it means you have friends and family that want to celebrate with you! But lots of times, the daunting chore of buying wedding presents for all these couples is nothing to smile about. Don’t stress! 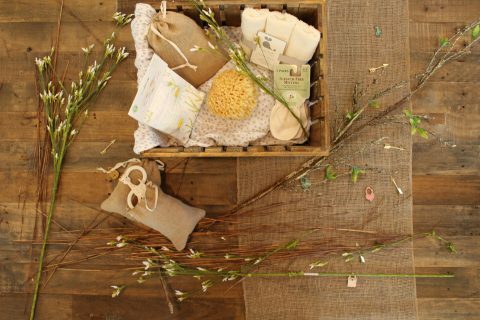 There are a few easy tricks that’ll help you cut costs on wedding gifts (without making you look stingy). 1. Go to a different store. Just because the couple registered for an item at Macy’s doesn’t mean you need to buy it at Macy’s. If you can find the same item on sale at a different store or online, go for it! Just remember to take the item off the online registry so the couple doesn’t get duplicates, and always get a receipt. Pro tip: A different store is fine, but a different item is not. The couple likely spent time researching appliances and searching for the perfect sheets. If you buy the wrong one, the couple will just need to go through the hassle of returning it. 2. Piece together a themed gift. The KitchenAid is way over your price point, but the cookie sheets, rolling pin, and cooling racks are right up your alley. Combining a few smaller items to create a larger themed gift shows you put thought and care into the present (even if you put in less cash). Get creative! 3. Add small extras to the the main attraction. Maybe you can only afford one item on the list, but it’s not really feeling like enough of a gift. Throw in a few extras to make the gift extra useful. That cast-iron skillet would pair nicely with a recipe book, while a coffee maker and some fresh grounds from your favorite local shop are a perfect match, and a set of wine glasses just beg for a bottle of vino. 4. Go in on a group gift. Buying all the couple’s bedding on your own? That’ll add up. But if you and your siblings, cousins, or friends pitch in for one or two big-ticket items, it’s totally do-able. In the end, you might end up spending only $50, but the couple walks away with a high-end gift. It’s a win-win, really. 5. Spruce up the packaging. There’s nothing all that special about bath towels, but consider wrapping them up in a wicker basket with a big white bow. You’ve just upped the ante in the gift-giving game (and you’ll have the cutest gift on the present table). 6. Go off-registry. Wedding registries aren’t strict shopping lists—they’re just the couple’s suggestions to make your life a little easier. If buying a toaster for your sister or best friend doesn’t feel personal enough, straying from the registry is totally okay (as long as you follow these tips). 7. Use the registry as inspiration. The couple registered for a bar cart, but someone already purchased it. You know what they’re going to need to go with that bar cart? Booze, glasses, and other bar-related goodies! Help them stock up (but make sure to get gift receipts in case they already have any of the items you buy). 8. Just give them cash! Sure, it might not seem as meaningful, but consider this: Couples constantly wonder how to tactfully ask for just money instead of stuff. The truth is, most would love a little extra cash to offset wedding expenses. If you feel funny about just signing a check, buy a gift card to the store they registered at or somewhere you know they love. While you certainly want to give the couple a memorable gift, remember this: Your soon-to-be-married friends will remember the wedding day far more than they’ll remember who gave them what stuff. Enjoy the wedding day, celebrate in style, and don’t stress about the perfect gift. 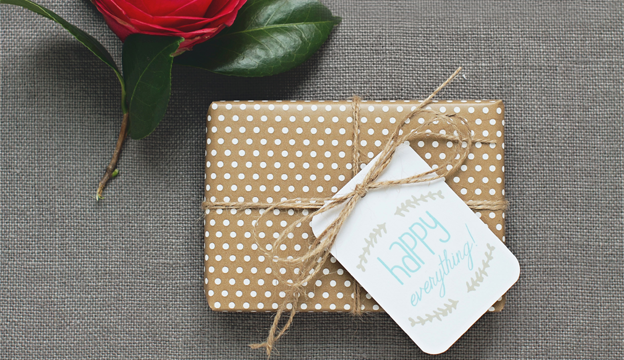 Get more gift-giving tips on Loverly!